We are thrilled to announce that 154 Collective have been selected as the 2018 Hodgkiss Award-winners with WRESTLING THE WALRUS. The award supports the realisation of a brand-new piece of ambitious theatre made by an artist or company from the North of England. This year the award has been developed in partnership with The Yard Theatre, London, and ARC, Stockton and saw ten incredibly ambitious and inventive artists and companies reach the shortlist. This new piece of work will be a multi-artform theatre production combining performance, film, animation, visual art and music. It is a poignant, warm and sometimes absurd tale of loneliness, companionship and our instinct to elaborate our own stories.  Following its premiere at the Royal Exchange WRESTLING THE WALRUS will transfer to both partner venues allowing the work further development, audience and critical reach. 154 Collective is an international, multi-artform group, including Theatre Makers, Performers, Visual Artists, Writers, Photographers, Animators, Dancers and Musicians. Seeking to tell stories from unusual and fun perspectives, the Collective explore how the collaboration of artists and artforms can influence process and presentation. They create work in an array of artforms including theatre, exhibitions, publications, music albums and public art. Committed to involving audiences in the development of all their work, they find innovative ways to open up their process and enable audiences to become co-authors in the work. Since forming in 2012 they have created nine exhibitions and installations, four theatre productions, three public artworks, two outdoor festival shows… and one maze built entirely of cardboard. £4,000 and an artistic mentor, plus a year of supported development of the work with paid R&D opportunities at the Royal Exchange and ARC Stockton. They will also receive a budget and support to realise the production in Spring/Summer 2019 along with producing support throughout from the Royal Exchange and the support and guidance of their marketing, development, dramaturgical making and technical departments. This year the judging panel included Tanuja Amarasuriya (Co-Artistic Director of Sleepdogs), Omar Elerian (Associate Director, the Bush), Sarah Frankcom (Royal Exchange Artistic Director), Jay Miller (The Yard Artistic Director), Bryony Shanahan (Royal Exchange Associate Artistic Director), Annabel Turpin (Artistic Director & Chief Executive, ARC) and Sally Hodgkiss. The panel were looking for an exceptional artist or company with a bold, original idea for a piece of live performance-based work. 34 Degrees is a story about women over 50 in retail, grounded in the north and based on current, true and unheard experiences told in a sensitive, authentic way. a recital is a radical, game-based performance piece meditating on the demand of labour made upon the young and old within capitalism. Algorithm Gold is a show about our symbiotic relationship with artificial intelligences and the internet search algorithms which learn from, and adapt to manipulate, human behaviour. Boys will Be begins as a series of structured conversations, not just about men, but where we are now as humans, and where we want to be. Cuts of the Cloth is an immersive piece about women’s relationship with the cloth, the war on terror, the increased surveillance of Muslim communities and the impact this has on Muslim women. Looking for Love is an interactive mixed reality experience driven by one of the most powerful human impulses: the quest to find love. Artists: Zodwa Nyoni, Isobel Algar, José Guillermo Puello, Jennifer Jackson, Hannah Sibai. Persona is a multidisciplinary theatre performance exploring the construction and deconstruction of identities in private and public spaces. The Gallery of Fools is a piece of satirical dance theatre that is a socially astute observation on the colossal impact that social media has on us as a society. A place, a town, mourning the death of its heritage;The Only Place Left is about the identity of people and place in de-industrialising towns. Told using performance, live music, animation and projected film, Wrestling the Walrus will be a feast for the senses and a poignant, warm and sometimes absurd tale about loneliness, companionship and our instinct to elaborate our own stories to appeal to others. Have you run the Hodgkiss Award before? How is this different? A version of the prize was awarded in 2013, won by director Ng Choon Ping and resulted in the production of CROCODILES by Lee Mattinson in the Royal Exchange Studio in autumn 2014. The award in 2013 was specifically aimed at writer/director partnerships. In 2016 the award was refocused towards theatre-makers who make ambitious and inventive new work. The winner of the 2016 prize was Powder Keg, who created BEARS in the Royal Exchange Studio in 2017. The Hodgkiss Award is generously supported by Sue Hodgkiss CBE DL.